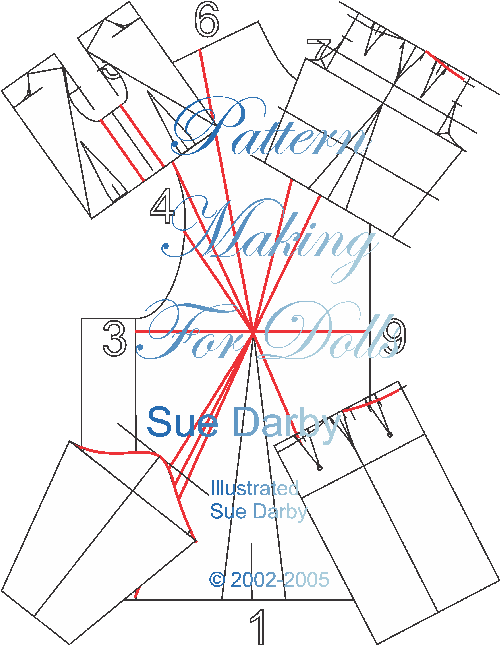 Pattern Making for Dolls is a complete resource for drafting patterns for larger dolls by hand for beginners. It includes sections on drafting and then stylizing patterns for men, ladies, children and baby dolls. You will learn to measure and draft a pattern “by the numbers” resulting in a basic block set that can be modified into any design you can dream up! All the beautiful patterns on this site were created using this book’s methods for drafting for dolls! Tagged books, Doll Clothing Patterns, Doll Patterns, Doll Sewing Patterns, Dolls, Pattern Drafting, Pattern Drafting Books, Pattern Making for Dolls.